Retro stuff is in and this cool 45 record adapter decal will show the world that you are a cool hipster. 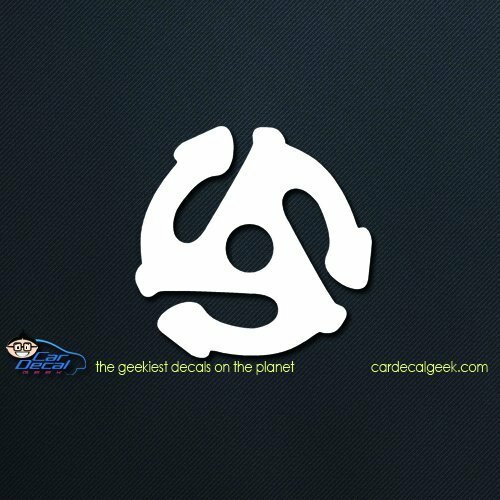 Just imagine how awesome this retro record adapter vinyl decal is going to look on your car windshield, laptop, wall or whatever you put it on. It looks amazing! Super easy to apply - Detailed instructions included. 3 sizes to choose from - 8", 14" and 20". Sizes refer to the longest end-to-end points of the decal. No background - die-cut from premium vinyl. Guaranteed to last for years. Can be applied to any smooth surface - The sky is the limit! Click "Add to Cart to Cart" - you deserve it. 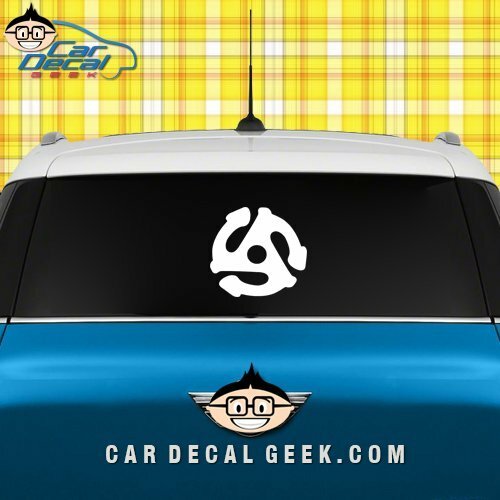 Decals make life more fun! Digitally machine cut from premium vinyl - there is NO BACKGROUND - this is not your dad's old bumper sticker. Easily applied to most smooth surfaces - detailed application instructions included. Show the world what you're passionate about through the power of vinyl. We love our customers - buy with confidence, returns and exchanges made easy.